In the eastern Pacific Ocean, off the mainland of Ecuador, you will find 19 islands forming the archipelago that is the Galapagos Islands. This is a dream destination for many travellers, and yet others seem to have missed this stunning setting and are unaware of the stunning beauty that is nestled here in this once in a lifetime bucket list destination. 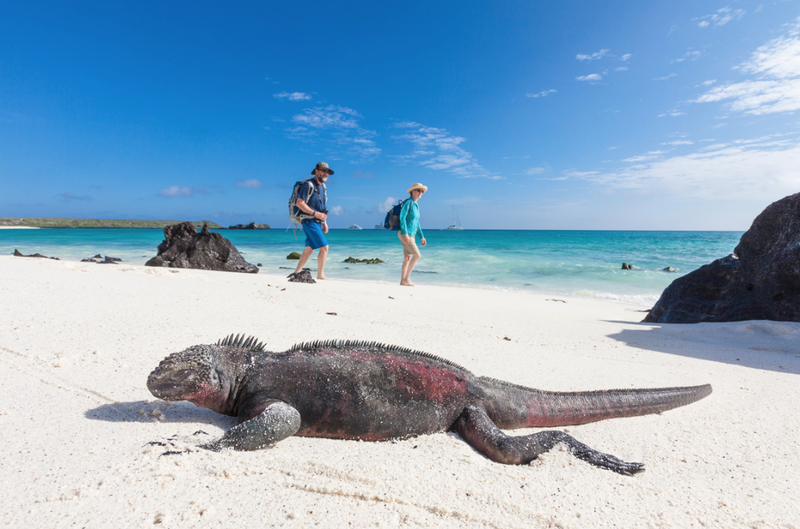 So, here are five reasons to visit Galapagos on your next holiday. Being a UNESCO World Heritage site this is far from a tourist beach littered with loungers and cocktails, but instead, you will experience some of the most stunning landscape in the form of crystal clear waters lapping at the shore of red sands on Rabida Island. Or check out Puerto Chino beach which is a hidden delighted shrouded in coastal mangroves. A true wonder to behold as you sink into the sand and gaze in awe at the amazing backdrop. So little time. 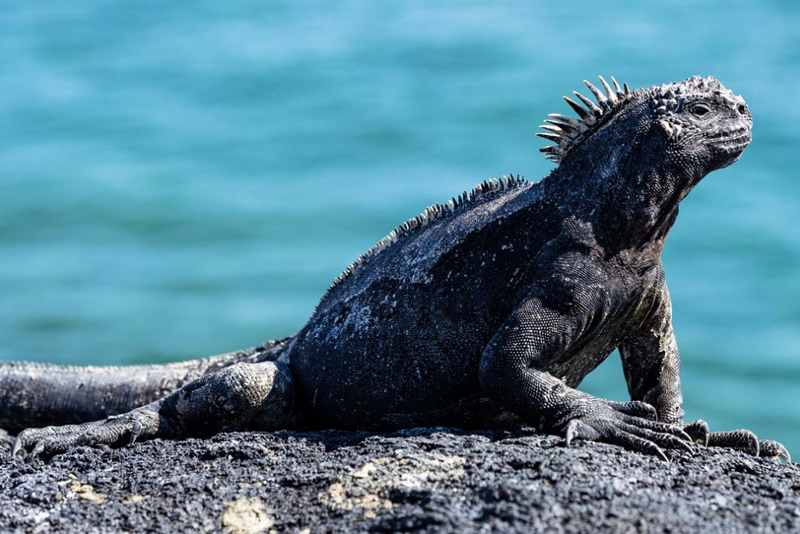 The Galapagos has a vast and breathtaking array of species for you to see. Make your own way around the islands or book onto one of the many cruises such as the Adventure in Galapagos and marvel at the beautiful wildlife that call this Pacific paradise home. From the birds in the sky to the creatures in the sea, this may be the only time you get to enjoy such animals in their natural habitat. Have you ever seen a giant Galapagos tortoise sunbathing? Have you watched the courting ritual of wave albatrosses before? These common daily events are so far removed from our daily life making them something special and not to be missed. With many, a well travelled hiking trail to choose from you can follow other brave adventures was you trace craggy footpaths and find high vantage points to take in the fantastic flora and fauna. If you can climb, your destination can be Sierra Negra, the second largest volcanic crater in the world. Walk to the Sulfur Mines and marvel at the mystical and haunting lava fields that are generally hidden in mist. Perhaps unsurprisingly, seafood straight from the water is a delicacy here, and you will find some stunning Ecuadorian eateries to tantalise your taste buds. Sample exotic fruit and vegetable you may never have seen before and if you like it spicy brave the Aji sauce. Made from hot peppers and tamarillos, this is not for the faint-hearted, but if you want to experience the local life, then it has to be on your to-do list. No trip to the Galapagos would be complete without stopping off at Floreana Island to see the famous pink flamingo in all their technicolour glory. These genuinely magnificent creatures take on the colour of their food and can be found holding court in the lagoon at Cormorant Point. Watch as they watch the waters and dive in to retrieve the tasty shrimp. Sadly climate conditions are killing the food supply and changing their habitat making these stunning birds and endangered species.